We're delighted to have been named in Event Magazine's Fab 50 best companies to work for in the event industry. You can find the full list of companies in a special Fab 50 supplement available alongside the April issue of the magazine which is out now. A few lucky Because employees were invited along to the launch party at The Swan at the Globe last week, check out the pictures here. The Fab 50 is the result of six months work to find the 50 best companies to work for in the event industry. A huge list of firms was eventually whittled down to the 50 that had the highest average rating across a series of questions asked to employees. The questions ranged from level of job satisfaction to chances of job progression and satisfaction with wages. More than three employees had to reply for a firm to qualify. 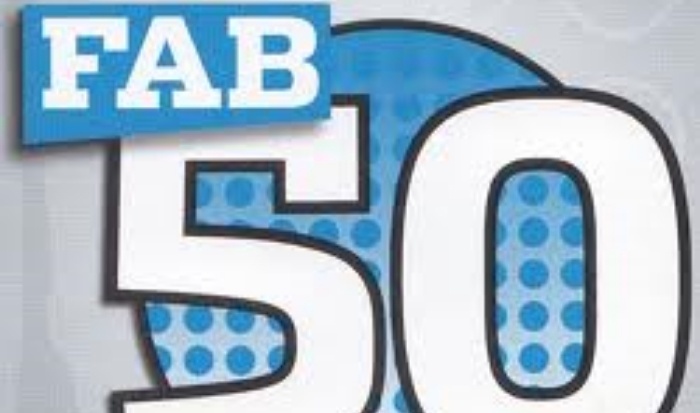 The top 50 was then put into an alphabetical list and printed in the Fab 50 supplement which is out now.